We provide Varnish Baking Oven for windmill and motor winding. Our company is known among the promising Varnish Baking Oven Manufacturers, Exporters and Suppliers from Tamil Nadu, India. 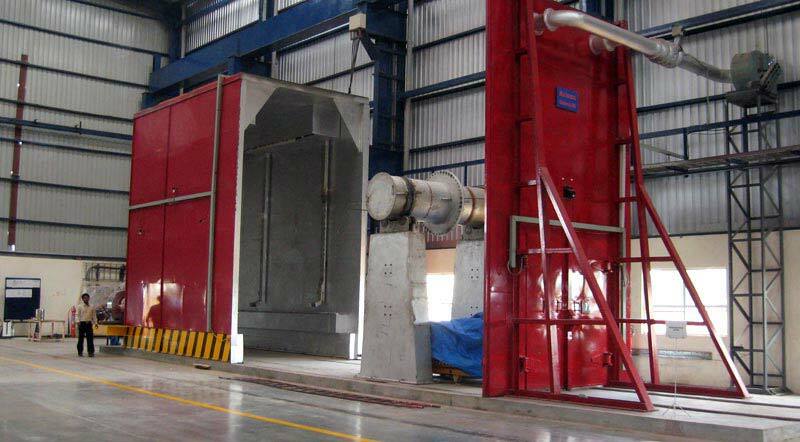 The various types of Varnish Baking Oven, we offer, are Trolley type and Hood type. In Trolley type of Varnish Baking Oven, heaters are installed in a separate chamber and only hot air is passed to heat varnish, rexine etc. This type of Oven can be made available in different sizes and capacities. On the other hand, we offer Hood type Varnish Baking Oven for windmill companies that require movable ovens. PLC control and safety interlocks are provided to avoid malfunction.